If using fresh wings, remove the flipper, then break each wing into two pieces and place them in a bowl and cover with buttermilk. Cover and chill for 2 hours or overnight. When ready to fry them, remove chicken wings from buttermilk and sprinkle lightly with salt, black pepper and garlic powder. In a bowl beat the eggs, stir in milk and set aside. In large bowl whisk together flour, salt, white pepper, chili, paprika, thyme, basil, oregano and parsley, set aside. Coat each chicken with flour mixture, then dip into milk and egg mixture, then again into flour mixture. In a large skillet or pan heat the oil to 325 F (until it’s hot but not boiling). The oil should be at least 1- 1 ½ inch deep. 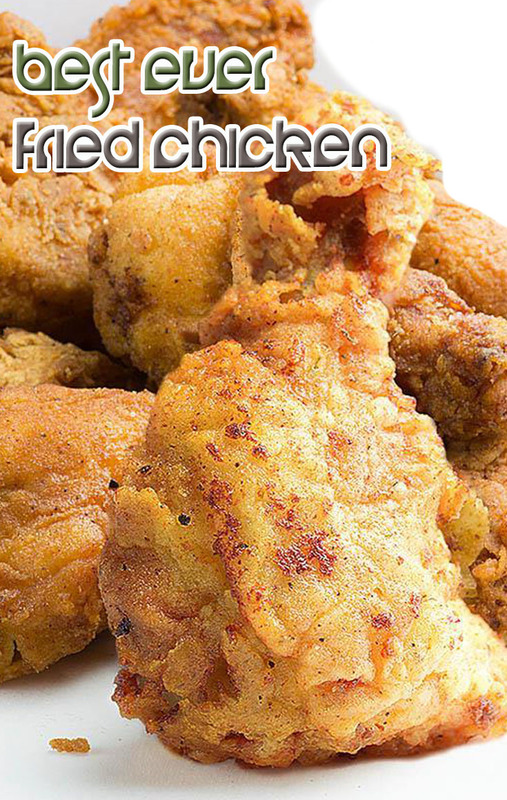 Working in batches, place chicken wings in hot oil and fry until golden brown (about 12 minutes), turning occasionally if oil does not completely cover chicken. Transfer the wings on a paper towel lined plate to drain excess oil for 2-3 minutes.